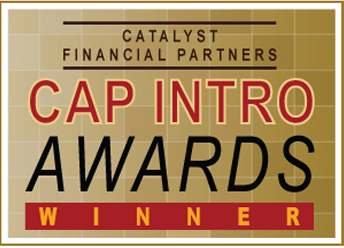 The Catalyst Cap Intro Awards is given out to the best manager at our events when it is warranted, based on the feed-back from of the participating investors, as well as Catalyst’s impression of the fund. Typically, there is consensus among investors which manager that stands out among its peer group. The winner is published here on the Catalyst website. Disclaimer: The Catalyst Cap Intro Award does not constitute an endorsement of any investment products and the awarding is based on information voluntarily shared with Catalyst, which has not been verified or confirmed with any third parties, or on opinions, which are subjective. Investors must always conduct their own due diligence and make their own investment decisions based on first-hand, primary information.